Product prices and availability are accurate as of 2019-04-16 22:48:30 BST and are subject to change. Any price and availability information displayed on http://www.amazon.com/ at the time of purchase will apply to the purchase of this product. Everyone wants to write the next Harry Potter or Jack Reacher novel, but unfortunate fact is, the likelihood of that happening is slim-to-none. And if you have your heart set on making a living off your writing, you owe it to yourself to find out how the real money is generated in the self-publishing world. 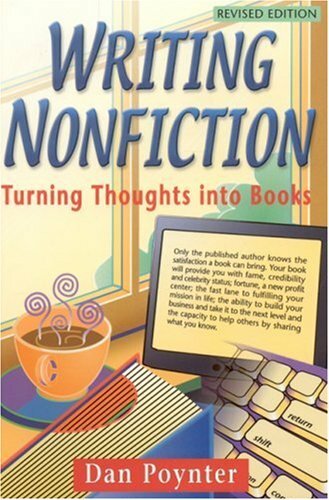 Enter the world of nonfiction writing. Instead of writing hundreds of pages and hoping someone likes your story, by researching and creating a work of nonfiction, you can focus in on small, underserved niches that are hungry for information on their favorite topic. Another bonus of focusing on nonfiction is, your readers want solid, no-fluff content, meaning you can profitably write a 50-100 page book. So instead of spending months, or even years, writing your next hopeful best seller, you can instead write informative books in the span of weeks. This'll allow you the ability to write several books a year, giving you a better opportunity to generate a healthy income. Once that happens, then you'll have all the time to write that best seller. The choice is yours. Get a copy today. 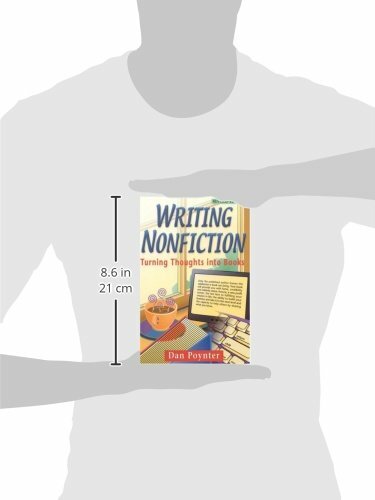 Writing Nonfiction provides a roadmap. The reader will learn how to break a topic down into easy-to-attack projects; how and where to do research; a process that makes writing easy; how to improve material; how to evaluate publishing options and how to develop an individualized and workable plan.